We are surfers, professionals and experienced travellers who have made surfing and living in amazing places part of our lifestyle. Come with us to places where the surf is consistent, the internet is solid, the lifestyle is simple and the local culture is engaging. Everything you need - including surf - is within a short walk from your home and your office. 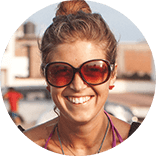 Magical events happen for Unleash thanks to Sophie, like a weekend in the mountains at Machu-Picchu-esque ruins, Peruvian dance lessons, workshops on marine life and surf forecasting, a beach bonfire with local ghost stories - to name a few. All this and she’s also the Development and Communications Officer for Supporting Kids in Peru (SKIP) and has a MSc from the London School of Economics. 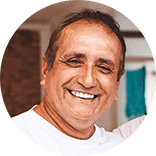 Always smiling and having fun, Juan Jose will fill your brain with useful Spanish phrases that you can put to use everyday. 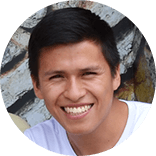 He was born and raised near Huanchaco and speaks English and German. He studied foreign languages at the National University of Trujillo and teaches at an international Montessori school. Carlos Antonio is a walking encyclopedia of surf history and he delights in sharing waves and his community with Unleashers. He’s the Worldwide Representative of Huanchaco World Surfing Reserve, he’s on the Vision Council of the Save the Waves Coalition and he is a trustee of the Otra Cosa Network, a non government organization helping underprivileged children and mothers in Huanchaco. He has been instrumental in sharing Peru’s surfing roots with the world and is a talented community builder and connector. 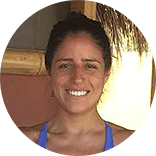 5 years ago Dani had just opened a small yoga studio in her hometown of Lima, when she met and fell in love with Paul, a handsome Dutch surfer living in Northern Peru. She uprooted everything to create Huanchaco’s first yoga studio, a beautiful hostel and, most recently, a happy little boy. Her classes are down-to-earth, intelligent and kind. She loves sharing the warm lifestyle of Huanchaco with new Unleash friends. Before creating Espaanglisch, a nonprofit organization that pairs local and international volunteers to teach English in public schools, David attended culinary school and worked as a chef. He’s from a town south of Huanchaco,where he learned traditional recipes from his mom and grandmother. He speaks more languages than seems reasonable and has a talent for sharing Peruvian food culture with visitors. 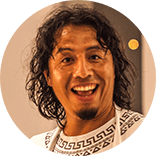 He provides Unleash Surf with tours of local markets and cooking classes, interwoven with history lessons on Peruvian cuisine. He is also an incredible photographer, avid outdoorsman and spontaneous dancer!